I just finished taking the exam. I send this wallpaper and another wallpaper. Hope you like it. as expected Nanoha is so cute! Very well done! It all fits together so well! I now have a desktop image. interesting Pic! I like it! demn... she is just sooooooooooo cute! Nanoha this beautiful to image of desktop..
ohhhh i love nanoha veryyy muchhhh! 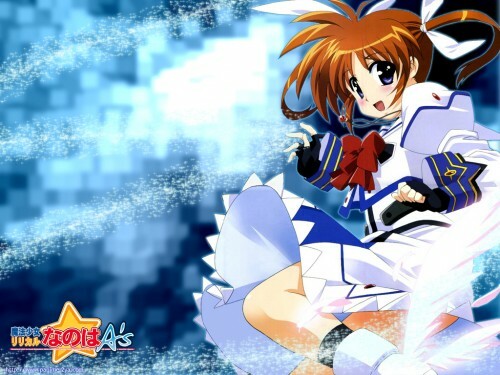 Aww, Nanoha just so adorable.